There are, of course, whole books (and arguably academic disciplines) devoted to this question so I’ll try to keep it fairly brief here. I think this is the fundamental question of our time. It’s particularly relevent to education. Rousseau’s postulation of the child as tabula rasa who only degrades as he comes into contact with civilization and its authority figures is pretty much the fundamental mental model of schools of education, and even lots of people who consider themselves radical reformers. But you see this idea emerge in all sorts of areas of life. I was thinking about this as I was baking some sourdough boules the other day. 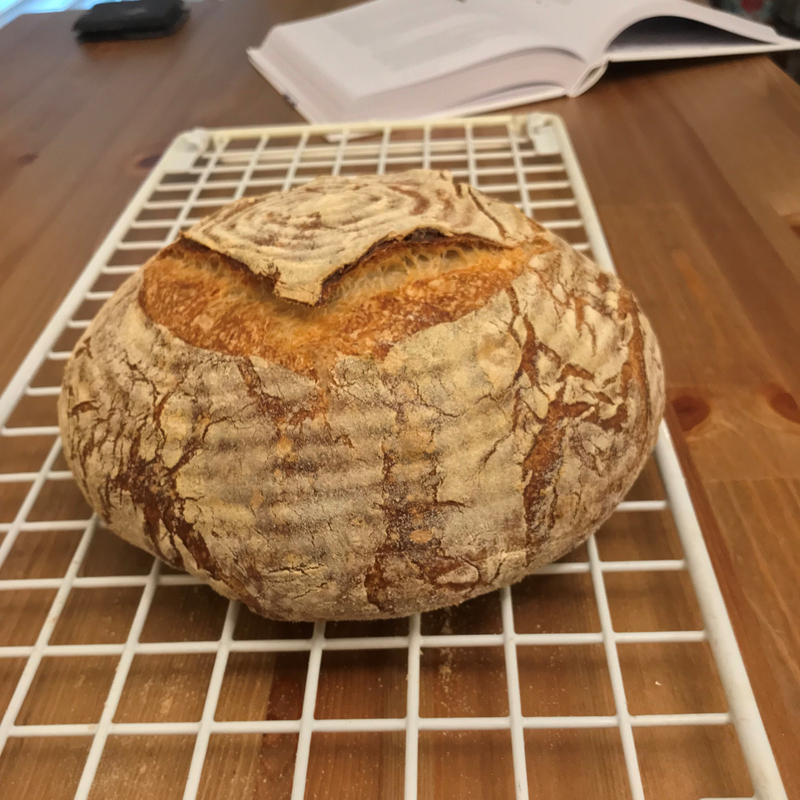 It’s a skill I’m still trying to master, and I’m extra motivated right now by the approach of the holidays to be able to bake consistently good loaves for family and friends. With deep respect to those who’ve chosen to avoid carbohydrates/gluten for both medical and personal reasons, I’m looking at you, bread-haters. From an archaeological and anthropological perspective, it’s pretty dang clear that civilization and agriculture are completely intertwined phenomena. Whether you’re a “beer-firster” or “bread-firster,” the fact is that people figured out that they could get reliable food and drink by settling down and growing some grain. Was this somehow a mistake that our ancestors made back in the mists of history? I ask that with only a little tongue in cheek. If you take seriously the myriad and multifarious modern assaults on civilization, you’d have to conclude that its critics are putting forward (at least implicitly) an argument that we’d all be better off in a state of nature. The fashionable contempt for the work, ideas, and yes, innovations of millenia of fellow humans is just straight up ungrateful. I think Jonah Goldberg does a really good job of making the case for gratitude in his new book, Suicide of the West. But he tends to focus on “The Miracle,” a period of skyrocketing prosperity kicked off in either England or The Netherlands roughly 300 years ago. I’m going to get meta-metaphorical here, so bear with me for a sec. You take this levain and add even more flour and water. Now you’re at the autolyze stage, and for hours, it looks like absolutely nothing is happening. You fold the dough periodically. Still nothing. “The Miracle” Goldberg describes reminds me of the final stage of bread-making. 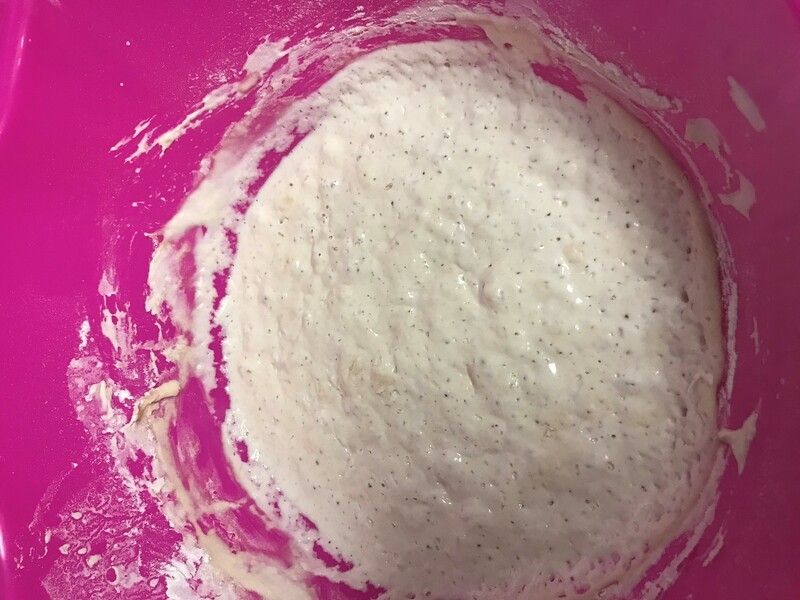 This is when you pop the blob of dough into the hot stove and presto, it undergoes something that bread people call “oven spring.” This is when the loaf poofs up and any surface damage that you’ve done becomes visible. The tears, or scoring, in the crust not only allow the loaf to rise upwards (producing better texture) but they also allow the beauty of the bread to shine through. This is my way-too-periphrasitic way of saying that millenia of human history are getting no respect these days. We look at long epochs where it looks like nothing is happening. But just like the edible manifestation of agriculture, it’s exactly when things appear most idle that the biggest changes are occurring within complex systems. Progress in all things worth doing is not linear. We all sort of know this from our own lives. Why shouldn’t we also take that view of civilization itself? Why should we heap contempt on the countless tiny innovations and refinements that put us in the position to pass judgement so flippantly on the past? I’ll just wrap this by noting the central significance of agricultural products, like bread and wine, in many religions. If you’re from a Christian background, you know that Jesus called himself the bread of life. Metaphors are centrally important to the way we experience, process, and make sense of the world, a concept that new insights from neuroscience is validating. I think that one of the dangers of contempt for history and cultural knowledge is that we are actually taking away from future generations crucial metaphors by which they can refine and improve their own lives and the lives of those around them. When I was a kid, I really didn’t like keeping a journal. Being the world-champ introvert I am, even putting my feelings or thoughts into a diary felt too exposed. I think that’s one reason why I don’t really like the idea that commonly, the first encounter kids have in school with writing is an assignment to write about themselves or their feelings. For me, it was more fun to imagine what might be, rather than reflect on my own experiences. By now, most education people are hip to the insights that Susan Cain shared in Quiet: The Power of Introverts in a World that Can’t Stop Talking (whether these ideas have really trickled into practice is another matter). I was lucky not to have had to endure a lot of group projects as a kid. But I got pressure during my teaching career to use methods that were better suited for extroverted learners. I’m actually not advocating that introverted people shouldn’t be stretched to be more social. There is nothing wrong with learning how to interact well with others, even if that’s more uncomfortable for some of us than others. This is where I think classical education has some really valuable tools to share. For instance, formal writing can be introduced as imitations of other passages, or reflections on or re-tellings of fables. Learning writing through the imitation of good models was known as progymnasmata, and Classical Academic Press has a new writing and rhetoric curriculum based on this approach. (Full disclosure, I do some contract writing/editing for CAP’s Latin and Greek products). The idea with the progymnasmata is to give students something to write about aside from their own interior experiences. I’m willing to bet that this intentional focus on inhabiting the world or mind of another is an excellent way to build empathy or at least moral imagination. For educators and parents concerned about a world that rewards performative narcissism, I think it might not be a bad idea to look back and see if there might be some wisdom in the methods and habits that prior ages practiced.